-- Eco-friendly material, nontoxic, odor-free and wear resistant. 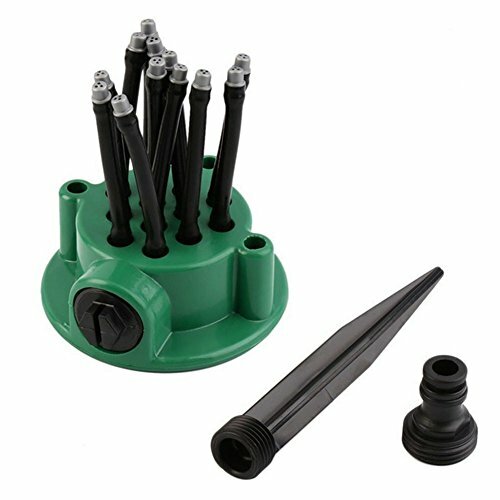 -- Multiple heads and 360 degree design for even and fast watering. -- Compact and sleek design, easy to use, time and labour saving. -- Perfect for flowerbeds, sideyards, lawns, patios, courtyards, vegetable.